The California Department of Public Health (CDPH) has confirmed 167 typhus cases during 2018. This data was published on February 1, 2018, and represents a 55 percent increase from 2017 when only 102 typhus cases were confirmed by CDPH. The majority of the typhus cases that were reported during 2018 were in LA Country (142), and Orange Country (20). Flea-borne typhus is considered endemic in areas of Los Angeles and Orange counties, but cases are also sometimes reported from other parts of California, says the CDPH. In the United States, most typhus cases occur in Texas, California, and Hawaii, with an average of about 300 cases every year. But, Deputy City Attorney Liz Greenwood, a veteran prosecutor, tells NBC4 she was diagnosed with typhus in November 2018. Greenwood told the NBC4 I-Team, "Who gets typhus? It's a medieval disease that's caused by trash. Flea-borne typhus is a bacterial disease that infected fleas can spread to humans. It is caused by Rickettsia typhi found in the infected fleas and possibly Rickettsia feces, says the CDPH. Tetracycline, doxycycline, azithromycin, and rifampicin are effective treatment options for scrub typhus and have resulted in few treatment failures, says the Cochrane Library. Greenwood believes she contracted typhus from fleas in her office at City Hall East. 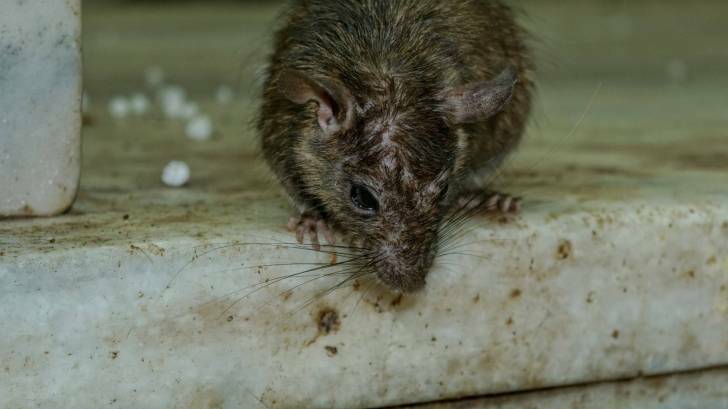 "There are rats in City Hall and City Hall East," Greenwood added. Fleas can come from many types of animals including cats, rats, and opossums. Although pets and animals do not get sick from typhus, typhus can cause high fever, chills, headache, and rash in people. The Centers for Disease Control and Prevention (CDC) says though epidemic typhus was responsible for millions of deaths in previous centuries, it is now considered a rare disease. Occasionally, cases continue to be reported in areas where extreme overcrowding is common and body lice can travel from one person to another. In the USA, there is often confusion between typhus and typhoid. Typhoid is a foodborne illness that is often transmitted through contaminated food or water, and symptoms develop within 3 weeks. Symptoms are usually mild but can be serious. About 22 million cases of typhoid fever and 200,000 related deaths occur worldwide each year, says the CDC. Typhoid fever is common in most parts of the world except in industrialized regions such as the United States, Canada, western Europe, Australia, and Japan, so travelers to the developing world should consider taking precautions. Travelers to Asia, Africa, and Latin America are especially at risk, and the highest risk for typhoid is in South Asia, says the CDC. International travelers to typhoid risk areas can easily request a vaccination appointment with a pharmacy at Vax-Before-Travel.